In this article, we will learn how to install Deep Learning Frameworks like TensorFlow, Theano, Keras and PyTorch on a machine having a NVIDIA graphics card. If you have a brand new computer with a graphics card and you don’t know what libraries to install to start your deep learning journey, this article will help you. We will install CUDA, cuDNN, Python 2, Python 3, TensorFlow, Theano, Keras, Pytorch, OpenCV, Dlib along with other Python Machine Learning libraries step-by-step. We will be assuming a fresh Ubuntu 16.04 installation. i.e nothing has been installed on the system earlier. Before installing anything, let us first update the information about the packages stored on the computer and upgrade the already installed packages to their latest versions. Next, we will install some basic packages which we might need during the installation process as well in future. Also, remove the packages which are not needed. CUDA ( Compute Unified Device Architecture ) is a parallel computing platform and API developed by NVIDIA which utilizes the parallel computing capabilities of the GPUs. In order to use the graphics card, we need to have CUDA drivers installed on our system. If you do not have a NVIDIA CUDA supported Graphics Card, then you can skip this step. and go to Step 4. Download the CUDA driver from the official nvidia website. We recommend you download the deb ( local ) version from Installer type as shown in the screenshot below. After downloading the file, go to the folder where you have downloaded the file and run the following commands from the terminal to install the CUDA drivers. Please make sure that the filename used in the command below is the same as the downloaded file. Run the following command to check whether the driver has installed successfully by running NVIDIA’s System Management Interface (nvidia-smi). It is a tool used for monitoring the state of the GPU. You should get an output as shown below. As a side note, I found that apart from getting better resolution options for display, installing the CUDA driver lowers the power consumption of the graphics card from 71W to 16W for a NVIDIA GTX 1080 Ti GPU attached via PCIe x16. CUDA Deep Neural Network (cuDNN) is a library used for further optimizing neural network computations. It is written using the CUDA API. Go to official cudnn website and fill out the form for downloading the cuDNN library. After you get to the download link ( sample shown below ), you should download the “cuDNN v6.0 Library for Linux” from the options. Now, go to the folder where you have downloaded the “.tgz” file and from the command line execute the following. Next, update the paths for CUDA library and executables. Then execute the following commands. Next, we install python 2 and 3 along with other important packages like boost, lmdb, glog, blas etc. Most of us work on different projects and like to keep the settings for these projects separate too. This can be done using Virtual environments in Python. In a virtual environment, you can install any python library without affecting the global installation or other virtual environments. This way, even if you damage the libraries in one virtual environment, your rest of the projects remain safe. It is highly recommended to use virtual environments. Install the virtual environment wrapper which enables us to create and work on virtual environments in python. Now, we install Tensorflow, Keras, PyTorch, dlib along with other standard Python ML libraries like numpy, scipy, sklearn etc. We will create virtual environments and install all the deep learning frameworks inside them. We create separate environments for Python 2 and 3. NOTE that PyTorch is in beta at the time of writing this article. So, the download link for PyTorch can change in future. You can visit this link to get the correct download link according to your desktop configuration. NOTE : The make operation takes quite a long time, almost an hour using 12 cores on an i7 processor. Also, it might get stuck for long at some places, but don’t worry unless it is stuck for more than an hour. 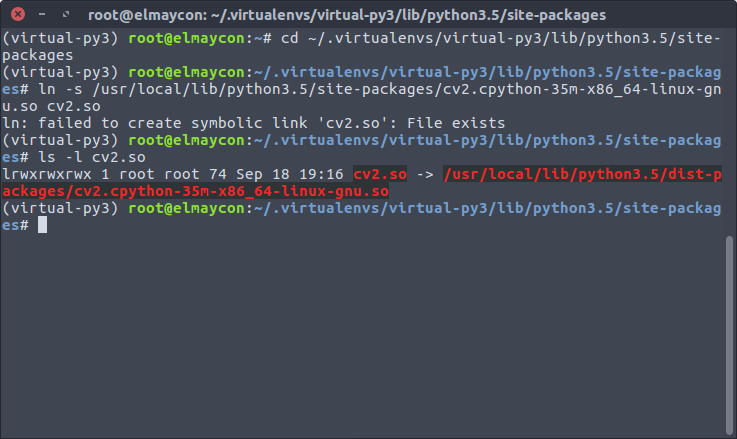 find /usr/local/lib/ -type f -name "cv2*.so"
These are the locations where OpenCV’s Python runtime library file ( cv2.so ) is located. We need to create symlinks to these files from our virtual environment in order to use OpenCV inside them without reinstalling OpenCV. Note the exact path of the cv2.so file. In my system, it is located in dist-packages. But in most systems, it is located in site-packages directory. Check out our next posts on Keras Basics and Feedforward Neural Networks Basics. More posts on Deep Learning to follow. Stay Tuned! If you liked this article and would like to download code (C++ and Python) and example images used all the posts of this blog, please subscribe to our newsletter. You will also receive a free Computer Vision Resource Guide. In our newsletter, we share OpenCV tutorials and examples written in C++/Python, and Computer Vision and Machine Learning algorithms and news. Here is a list of other resources you may find useful. I ran into some driver and motherboard configuration issues that I mention in my guides. Thanks for the links Paul. This looks great! Can you please post some linux laptops which would be appropriate for this? I’ve been googling around and it isn’t absolutely clear which laptops are best for CUDA. The answer is : It depends on your budget! 1. Training takes a lot of time and you cannot travel when training is going on. This takes away the mobility feature of the laptop. 4. Laptops don’t handle the heat produced while training very nicely. It might be better to use GCP or AWS if you plan to do deep learning training once in a while or buy a desktop which you can customize to your budget. Still, if you really want to invest in a Laptop with a GeForce GPU, the cost will depend on the RAM requirements and also the country you are living. I would suggest you to buy a laptop with atleast 6GB GPU RAM and 12 GB system RAM. The other parts will have to be compatible with these 2 requirements. thanks. does sound like desktop or cloud is the way to go. so lets assume AWS cloud. then AWS P2 instances would seem appropriate. Sounds right? What would be the development process though? Ideally would develop on laptop and run/deploy on cloud. What do people do? Are there CUDA emulators which would run on laptops and facilitate the development process? We develop on AWS and deploy on AWS as well. There are no CUDA emulators I know of, but the code you write on any framework will run just fine on a CPU. It will be very slow for training though. Sometimes when the application does not need fast response, training is done on the GPU and inference is done on the CPU ( more cost effective ). I can help if you can give some details. If you share exactly which commands u typed and what outputs you got after installing opencv. Did you perform these two steps? with site-packages instead of dist-packages. You can see the thing in RED. It is pointing to the dist-packages directory. it is not taking the full path. as you can see from the text highlighted in RED. cv2.so is pointing to a wrong file. 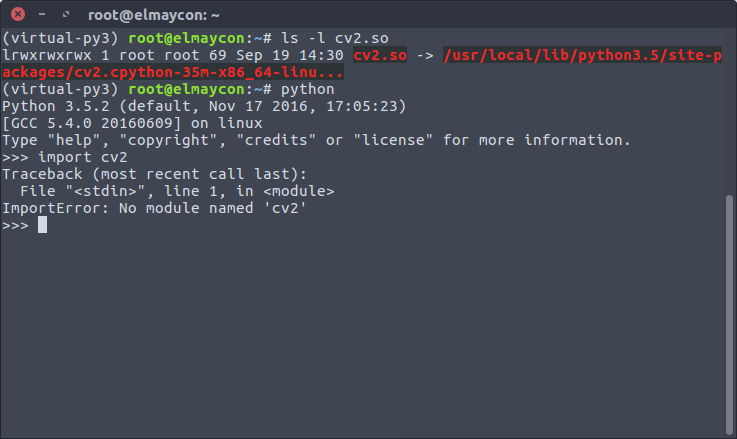 It should point to the file cv2.cpython-35m-x86_64-linux-gnu.so in the /usr/local/lib/python3.5/site-packages directory. as directed in pyimagesearch blog article and create a symlink. Glad you could make it work! The renaming isn’t the trick, the linking is. That looks like a one-off error. Are you getting the error still? People have reported that this type of error is encountered randomly. Restarting the python kernel or executing the command solves the problem for them. Nice article but need steps to install tensorflow and keras in windows 10. Can you help me for this? We do not have a Windows installation tutorial for Tensorflow and Keras. However, you can follow these steps. 1. First of all, tensorflow requires python3 on windows. So, if you dont have that, install python 3 first. 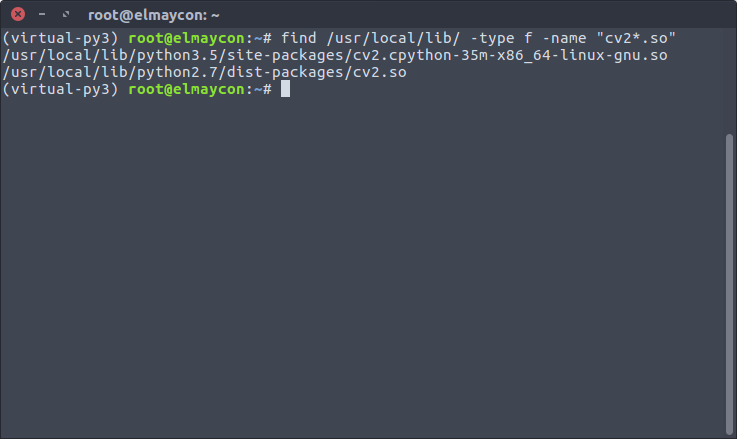 You can either install it using Anaconda ( it includes libraries like numpy, scipy, sklearn etc) or simply the python library. It’s your choice. It is advisable to work on Linux based systems for deep learning projects as the support is much better for linux systems. You can use a virtualbox with ubuntu on it if you cannot install linux on your system. I have installed Tensorflow in a virtual envirnment , how can i install OpenCV in that same Env ? Link OpenCV to your virtual environments. Thanks alot man! I have been trying to install keras for three days now but this guide atlast made it possible. here you should change ‘cuda’ with ‘cuda-8.0’, otherwise it just installs cuda 9.0 (latest version) which i think is not flexible with TF. Thanks Hash! Will update the post. Thanks for the article! Very well made. I have a doubt. When I’m installing the packages in the virutal environments, it’s redownloading them. Is it normal? Does that mean, it stores a different copy of the package for every virtual environment? Yes, thats how it is done. Otherwise what’s the point of having different environments? Any idea what’s the problem and how to solve it? As far as I know, pip is missing some important files from tensorflow that conda has and conda is missing some other important files that pip has. That’s at least for the moment I am writing this post. Mine is Anaconda3-5.1.0-Linux-x86_64.sh for example. Install it and then you can use the conda package manager as well. Conda + pip is usually a bad practice and should be avoided, but sadly in this case it might be the only workaround. You can try installing tensorflow with either of them (first pip uninstall tensorflow-gpu and then conda install tensorflow-gpu and vice versa), but I think that at the end you will have to use both. That’s at least what I did. No I didn’t need it and everything runs fine. You can try installing it and check if it works. Did you install using virtual environments or directly? If you had followed everything without any error, then you have it installed on virtual environment. 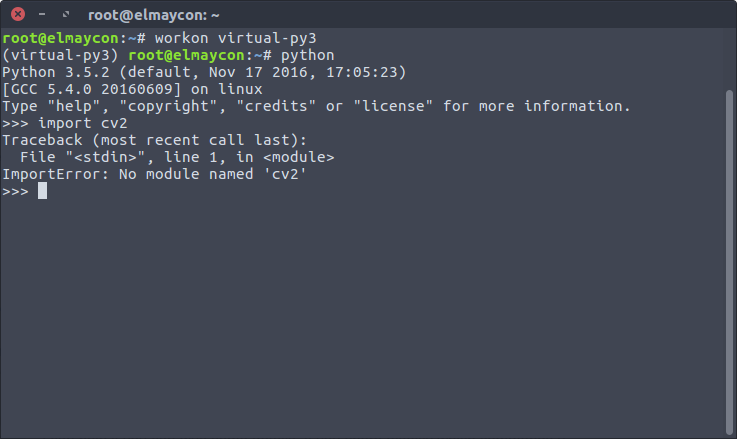 You have to activate the virtual environment ( workon virtual-py3 )before running python. Nice article. However, it does not work for me on Ubuntu 16.04 with the latest cuda version 9.1. The installer automatically update my GPU driver to proprietary 387.26, which is not working well with Ubuntu yet. Yes, I also faced this issue after some days. Tensorflow needs CUDA version 9.0 as of now. do you have a compatible ami on the aws service somewhere? if not, do you know which aws gpu ami is equivalent – or similar – to the ubuntu 16* system you are describing above? the idea is to install an try all this somewhere on aws.